Author FreeFormQuiltsPosted on February 23, 2014 February 24, 2014 Categories Projects, TechniquesTags beginner, class, quilt, Quilting, tablerunnerLeave a comment on Wonder tape makes for professional looking pillowcase finishes. 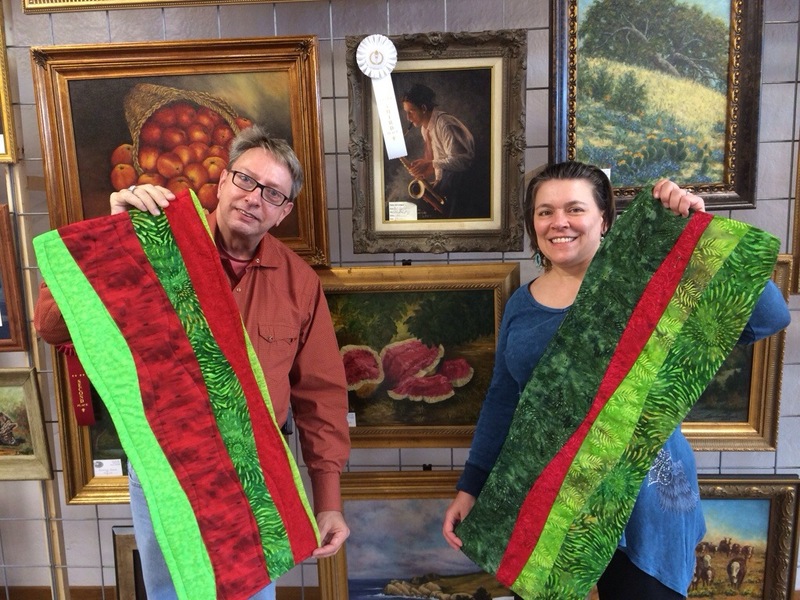 The Free Form Table Runner class being offered Feb 22, 2014 from 10 am to 2 pm. at the Texas Art League Gallery. Sign up at the Gallery. There will be a break for lunch, you can bring your lunch or some students may wish to work on their project so we arrange for lunch from the Coffee Shop, or perhaps a taco run. Iced tea and water available during the class. For more detailed information, Please click on this image for a pdf you can save and print. This flyer will also be available in the Texas Art League Gallery; and, in the Watermelon Shop next door if the Gallery is closed. The Gallery has limited hours but is open most afternoons Tuesday – Saturday. They would really appreciate more volunteers who would like docent at the gallery so that it may open more hours of the day. The Texas Art League Gallery is at at 509 E Davis Street, Luling, Texas 78648.